Home » Retail Body Jewelry » Why Does a G23 Titanium Captive Bead Rings in Demand in The Market? Nothing can beat the safety of captive bead rings especially when they are made of titanium. The G23 titanium captive bead rings are famous for its healing quality. And can help you to breathe easy, no matter wherever you have the piercing. Be sure to thread it properly and be comfortable with the G23 titanium captive rings fixed firmly to the area you want to flaunt. What is more, the durability of the G23 titanium segment is legendary too. It is easy to wear and safe for your skin so it makes perfect sense to adorn your body. With these segmented rings that can be removed in segments. Forget threading cheap tongue rings and common jewelry through body piercings and allowing your skin to develop rashes and allergies. Opt for the absolutely safe and secure material i.e. G23 Titanium that comes highly recommended by scientists as well as doctors. The unique piercings in quiet and soothing colors, each sporting a colorful bead happens to be just the item that will keep both your mood as well as your skin upbeat. Too simple? Well, less is more in today’s world and adorning your piercings right from the eyebrows, ears, nostrils, tongue, lips to your belly button is going to be a cakewalk when you have the G23 titanium rings handy. 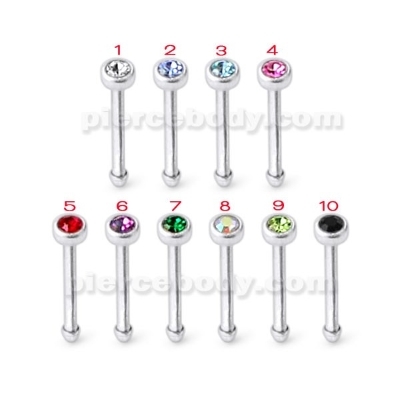 Vote for traditional and securityn by firmly opting for your choice of captive bead body rings. The major advantage of these rings happens to be the ease of inserting and removing it. The captive bead also ensures safety and the rings seldom fall off without you being aware of it. Do remember to buy a dozen from Piercebody.com and use them freely as earrings, unique nose rings, and eyebrow rings. From precious metals like gold and silver to the skin friendly metals like surgical steel and titanium, the captive bead body rings are available in a variety of makes. They also offer offbeat shapes like squares and triangles. Go for it!